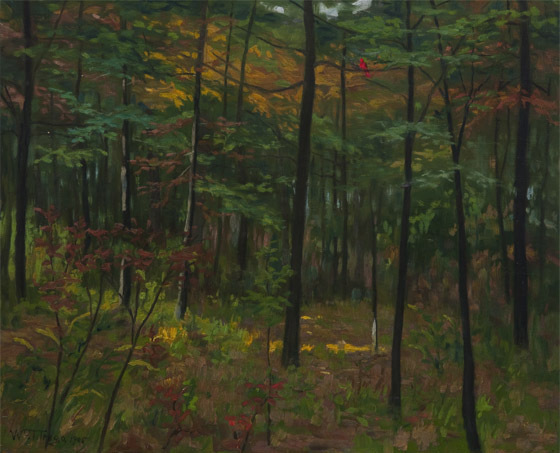 The work bears some similarities to woodland scenes once painted by the artist’s father, Jonathan K. Trego. After his father’s death and his own decision to forgo further military history paintings, William Trego often painted in genres once associated with his father. The painting is in good condition, but the whole scene is dark, and the colors of the flowers are hard to see. It would benefit from cleaning.